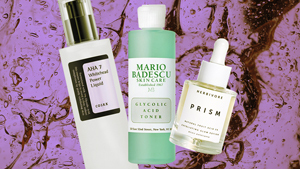 She reveals some of her fave skincare products, too! We just love snooping inside celebrities' makeup bags, especially finding out how exactly they use their products. Lucky for us, Janine Gutierrez shared both on her newest vlog! The actress ran through her go-to makeup look routine and morning skincare regimen, giving us a sneak peek of her collection. She starts the video off with skincare, stating that she's quite dry-skinned. To combat this, she refreshes her skin with Evian's Brumisateur Facial Spray (P349, Watsons) and applies a small amount of La Mer's Crème de la Mer (P21,400, Rustan's) and Renewal Oil (P12,800, Rustan's) before depuffing with a cold jade roller. Lastly, she puts what she considers the most important step of all: sunscreen! With her base prepped, Janine proceeded to her full makeup routine—from foundation down to lipstick. We'll let her take over the mic for this part, so click play on the video below to find out the rest of her favorite products!